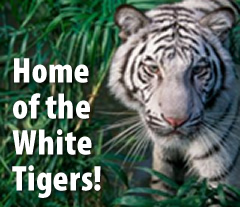 It is a GREAT day to be a Welch White Tiger! What a wonderful Veterans Day Assembly we had yesterday! A huge thank you to all of the Veterans who were able to join us as celebrated them! PICTURE RETAKES… Picture Retakes are this Tuesday, November 13th! If your child was absent or needs his or her picture retaken, please return the original picture package (if applicable). The unwanted pictures will be returned to the photographer. LOST AND FOUND… Our Lost and Found is VERY full! We will be donating items left in the Lost and Found on Friday, November 16th. Please encourage your student(s) to check for any missing items! Thank you! CLIMATE SURVEY - WE NEED YOUR FEEDBACK! The Illinois 5Essentials Survey identifies five indicators that can lead to important student outcomes, including test score gains. Research has shown that schools strong on these indicators are ten times more likely to improve student learning. The five indicators that effect school success are effective leaders, collaborative teachers, involved families, supportive environments, and ambitious instruction. SCHOOL ATTENDANCE… School attendance is essential to academic success. As you review your child's first quarter report cards, you may also check your child's attendance in Home Access. Direction on checking your child's report card and attendance are located here. Did you know that absenteeism in the first month of school can predict attendance throughout the school year? Research shows that half the students who miss 2-4 days in September go on to miss nearly a month of school by the end of the year. (attendanceworks.org) Remember any lost class time, whether excused or unexcused results in missed learning opportunities. Help your children develop positive habits for attendance from an early age! For more information or assistance with improving your child's attendance, please contact your classroom teacher or school principal. District 204 is partnering with local law enforcement agencies for a School Safety Community Night presentation from 7 to 8 pm on Wednesday, November 14 at Waubonsie Valley High School. Safety topics include what parents should teach their younger children to help keep them safe, the district’s partnership with police and how school resource officers work with staff and students, ALICE training in schools, a new program that involves a school safety dog, and how students and parents can report safety concerns. All District 204 parents are invited to attend this event. Children are encouraged to attend at their parents’ discretion. LMC READING PROGRAM OPPORTUNITIES… During the month of November, students have a choice to participate in the Chicago Wolves reading program. Students who read 15 minutes/day for the month of November and record their reading on the reading log will be given a voucher for a free ticket to a Chicago Wolves hockey game. They can begin reading today! Parents can print out verification forms from the LMC Google Site or students can come to the library to pick up a copy. BAND/ORCHESTRA MEETING FOR 5TH GRADE PARENTS… 5th Grade Parents are invited to attend the Parent Information Meeting on Tuesday, November 13th, 7:00 p.m. at Scullen Middle school in the lunch room. You will learn all about the 6th grade band and orchestra instrument choices as well as the opportunity to meet the Scullen Music Staff.